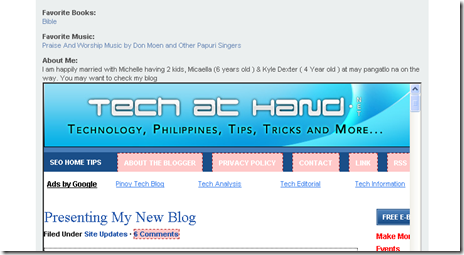 Did You Know That Friendster Could Help You Promote Your Blog ? I have been using Friendster for sometime and I manage to add my long lost friends for years. We all know that when you want to find old friends in Philippines just proceed to Friendster and there is a great probability that your long lost friends are there and their own profile. Even my Kids have their own Friendster account. So here are some of the Tricks in Friendster that might help you become more Sociable. 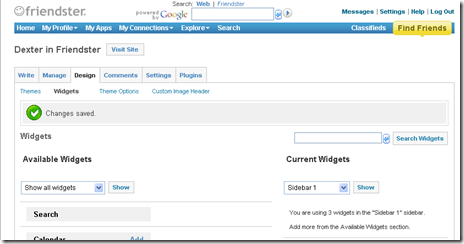 Yes, Friendster Blogs is powered by WordPress. So for all of your WordPress fanatics you may want to try an additional incoming links to your blog thru friendster. You have 50 MB of Webspace. I am still having problem in using my Windows Live Writer even after activating XML-RPC. don_sers last blog post..WRONG GRAMMAR???! I’m doing all that except for the healine animator. Thanks for sharing brother! great tips.. nice way to maximize potential of media sites.. thanks for this. Great that you like it jayl..